The new year usually motivates people to change things up, whether it be in their lifestyle or fashion choices. Home design, of course, is no exception. The arrival of a new year signals new trends for interior designers and style-savvy homeowners alike who are on the lookout for new ways to modify homes. Today, we look at some of the new interior design trends for the year 2018 as suggested by trendsetters and industry experts and how these trends can be applied to your home with Ackworth House’s line of Timber stairs. Contrary to the loud and bold characteristics of the recently announced colour of the year, the interior design industry suggests that 2018 is still the year of natural, earth colours. Earth colours are desaturated versions of different hues and can be found in the centre of the colour wheel. This lets them provide a good balance of warm and cool tones in home decor. Brown and beige specifically exhibit both warmth and relaxation in a room. A specific type of design that maximises the use of natural, earthy home decor elements is Scandinavian design. Inspired by the modern style of the Nordic region — Denmark, Sweeden, Finland, Iceland and Norway, Scandinavian design is a minimalistic style that uses neutral or monochromatic colour schemes and organic, natural materials. Wood is a versatile material in Scandinavian design due to its range of colours. Light brown wood is functional and gives off a light and dainty illusion suitable for small living spaces. Dark wood, on the other hand, gives a subtle touch of luxury due to its rich colour. Ackworth House’s Timber stairs is a collection that combines subtle strength and timeless appeal with function and durability. Its natural colours meet the recommendations of 2018’s interior design trends. Apart from being a staple element of Scandinavian home design, wood is a low-maintenance material that lasts for years, is a cost-effective material that also suits the interior design’s movement towards sustainability. For over 40 years, Ackworth House has been the leading supplier of timber staircases for Auckland and Whangarei property owners. Our timber furnishings provide the perfect balance between classic elegance and modern appeal perfect for incorporating the latest interior design trends in your residence. We also work with clients who have specific design requirements in mind. 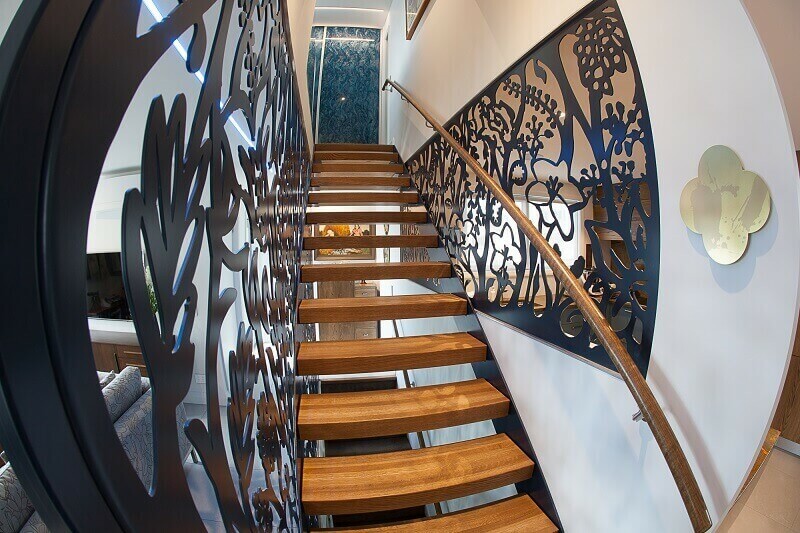 We can manufacture timber stairs according to your specifications, giving you a variety of options to choose from like balustrades and handrails. Our line of Timber staircases are durable and work well with other fixtures on your property. The steps are also stable enough to carry and support different ranges of weight. Make Ackworth House your first choice for building modern and functional stairs that add aesthetic value to your residence. You may view our gallery of Timber staircases for design ideas or call us on 0800 ACKWORTH if you want to share your ideas with us or if you have any enquiries.